Sometime you want to use specific fonts that you downloaded from Internet (usually as .ttf files) or you have to use brand specific ones that you could download from an intranet (*). 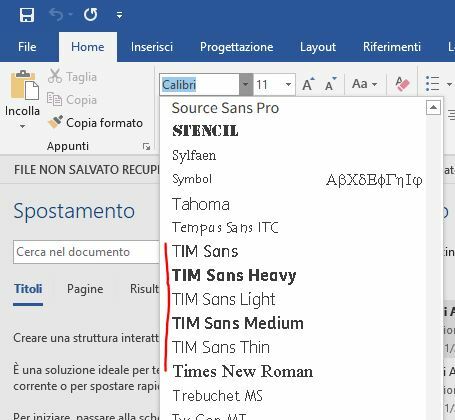 There are many ways to install new fonts, for example from the Control Panel, but the easiest way is to right click on the .ttf file of the new font and select Install. Note that if you have to install more fonts, you can select them all and then do the same procedure, always right clicking. See also this page of the Windows Support Centre. Moreover, if you have to make a an institutional video, you have to take care not only of the required font but also of other style issues (*). Questa voce è stata pubblicata in Aziendali, Review e test, Windows. Contrassegna il permalink.